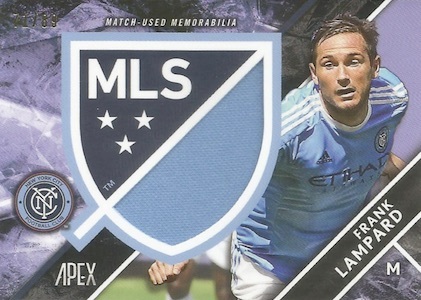 Following up the brand's debut last year, 2016 Topps Apex MLS maintains the groundwork that was established and looks to build on it with a greater emphasis on the global stars found in the growing league. Each hobby box promises two autographs and one Crest Jumbo Relic. 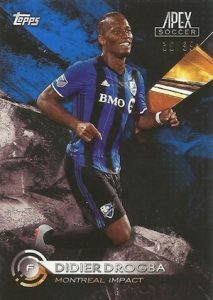 Buoyed by international names like Andrea Pirlo, David Villa, Didier Drogba, Giovani dos Santos, Kaka and Steven Gerrard, 2016 Topps Apex MLS also features top domestic stars, including many from the US National Team. 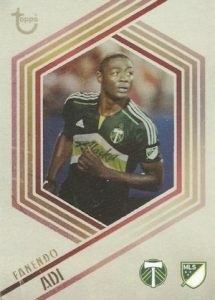 Presenting key names from throughout the MLS, the 100-card base set includes the rookie cards for young stars like Jordan Morris and Jack Harrison. Parallels grow the choices with Green (#'d), Red (#/5 - Hobby), Purple (1/1) and Printing Plates (1/1). There will also be Rookie Short Prints for the 2016 MLS SuperDraft picks taken in the first round. 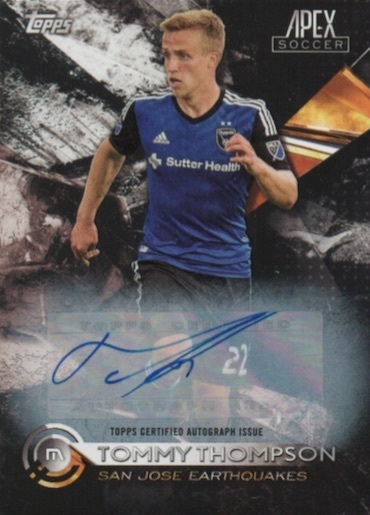 A first for MLS cards, the 2016 All-Star Autographs feature hard-signed content from the players who battled Arsenal (July 2016) in the annual match that pits the top players of the league against a notable foreign club. 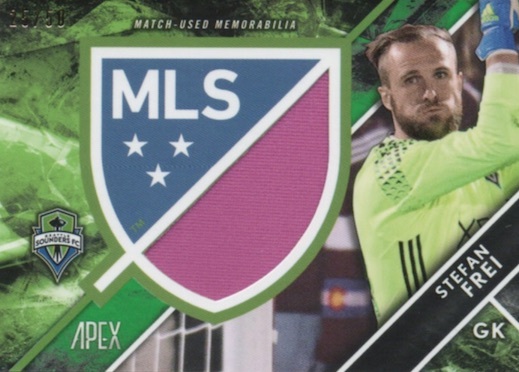 These will be one of the biggest draws in 2016 Topps Apex MLS. 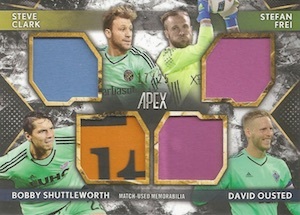 Combining several elements into one, the Match Day Die-Cut Auto Relics (1 per case; hobby only) cards showcase a unique design along with a sticker signature and jumbo relic piece. Red (#/5) and Purple (1/1) parallels are also found. Dropping one per master box, Crest Jumbo Relics are exclusive to hobby. In addition to the base version, parallels include Red Patch (#/5), Red Collar (#'d), Purple Shield/Team/ADIDAS (1/1) and Printing Plates Patches (1/1). 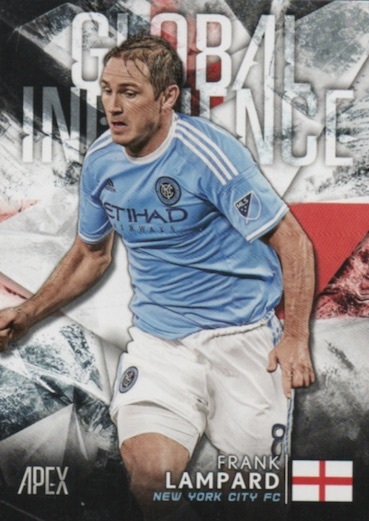 Rounding out the product, traditional inserts in 2016 Topps Apex MLS include Global Influence cards that highlight the international players and GOLAZO! inserts which feature goal celebrations. Both offer Green (#'d), Red (#/5 - Hobby), Purple (1/1) and Printing Plates (1/1) parallels as well as limited Autograph versions. 110 cards. The final ten cards are short prints (SP). PARALLEL CARDS: Blue #/99, Green #/50, Red #/5 (Hobby), Purple 1/1, Printing Plates 1/1. PARALLEL CARDS: Blue #/99, Green #/50, Red #/5 (Hobby), Purple 1/1. 14 cards. Serial numbered #/35. 45 cards. 1 per Hobby Box. Serial Numbered #/89. PARALLEL CARDS: Green #/50, Red Patch #/5, Red Collar #/5, Purple Shield 1/1, Purple Team 1/1, Purple ADIDAS 1/1, Printing Pates 1/1. 16 cards. 1 per Hobby Case. Serial numbered. PARALLEL CARDS: Red #/5, Purple 1/1. Good: New on-card autographs, good price point, vivid colors and bold designs. Bad: Base design not as appealing, on-card autographs very rare, mostly plain jumbo relics. The Bottom Line: The sophomore effort from Apex sees some positives and negatives. 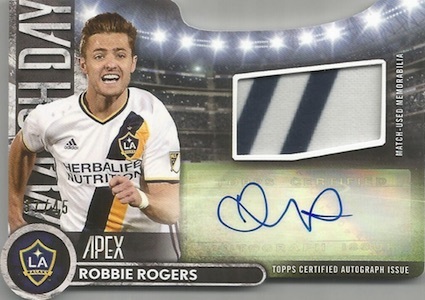 While the budget-friendly pricing remains and on-card autographs enter the mix, the primary design does not work as well as last year and there are still mostly low-value sticker autographs to pull. 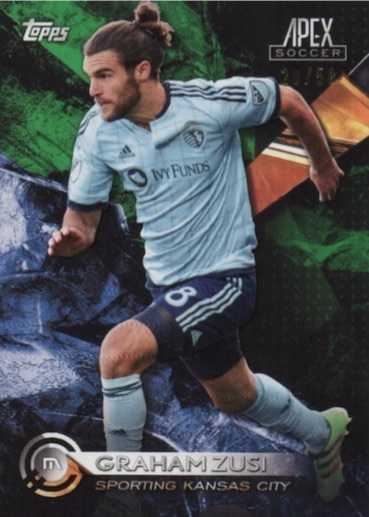 Where 2015 had a more complete look of splashing water and a darkened background, 2016 Topps Apex MLS feels a little more disjointed with a broken-glass effect and an odd mix of colors. It’s not terrible but it just does not work as well, in my opinion. This extends to the main autographs as they use the same design with a sticker signature. On the other hand, while the design is still a little busy for me, the hard-signed All-Star autographs look great. The only disappointing thing is how rare they ended up being at only 35 copies. Just like in 2015, the Crest Jumbo Relics are again a bit of a letdown since the relics are either not that large or are half obscured by the card. It might also be initially misleading to collectors as it appears to be a relic of note only to find out it is a plain jersey with a die-cut design over the top third. To be fair, the low-numbered parallels fill the whole spot with a quality relic swatch. 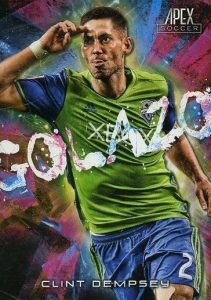 Among the basic inserts, I do find the Golazo cards to be quite interesting. They are crazy and colorful in a good way and the goal celebration images add a fun element. 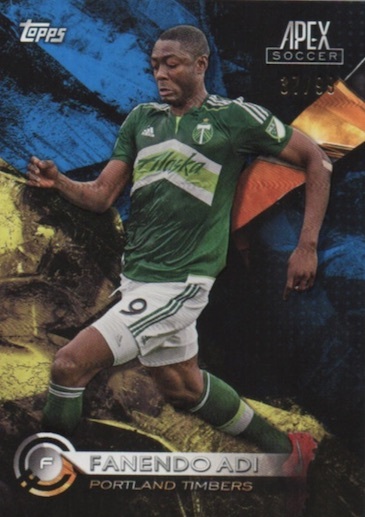 Like most MLS sets, the checklist is more indicative of the league as a whole so this is an instance where the league is more to blame than the set. There are a few top-end names, some players who fall more in the middle and then a lot of lower-end talent among the signers. I do appreciate that the on-card set went specifically with All-Stars, including many of the biggest names in the league. 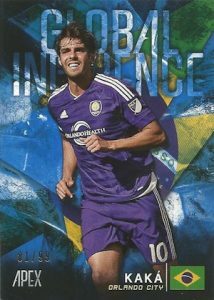 With Pirlo, Kaka, Drogba, Giovinco, Lampard and Villa all included with autographs in the release, the international talent is largely represented. This really boosts the product and is further enhanced because most of these offer on-card versions as well. On the one hand, many of the MLS signers are worth very little. Despite this, a box that contains two autographs and a relic for around $40 makes that much more manageable. Few products offer this kind of value and when you add in the fact that there are limited hard-signed autographs for top names, it looks even more appealing. The main issue I had with Apex in 2016 was that the base design was not my favorite. Other than that, I liked the changes. On-card autographs are always a winner and I appreciate that Topps elected to completely switch up the insert line with a fresh group of offerings. It is not the most glamorous product, but I like what it offers for the price.